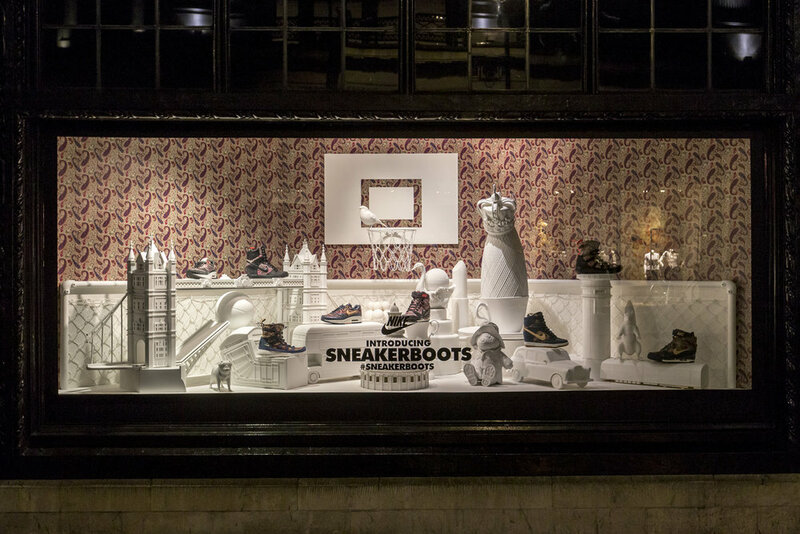 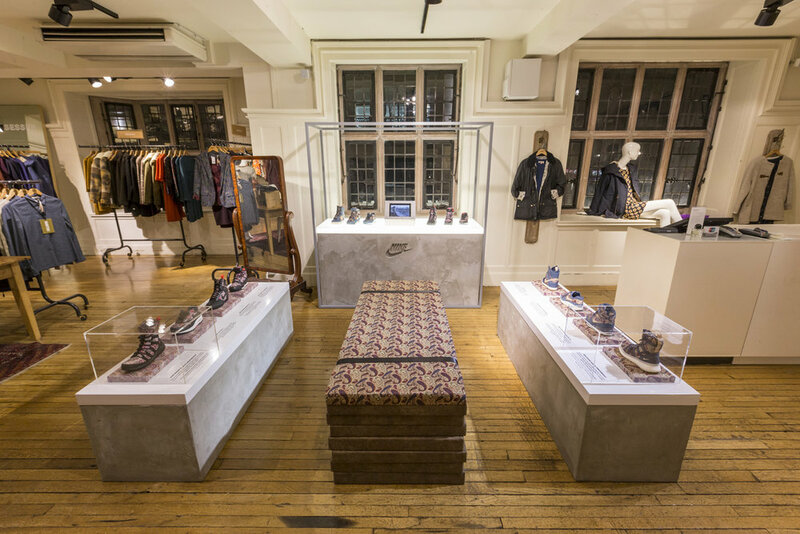 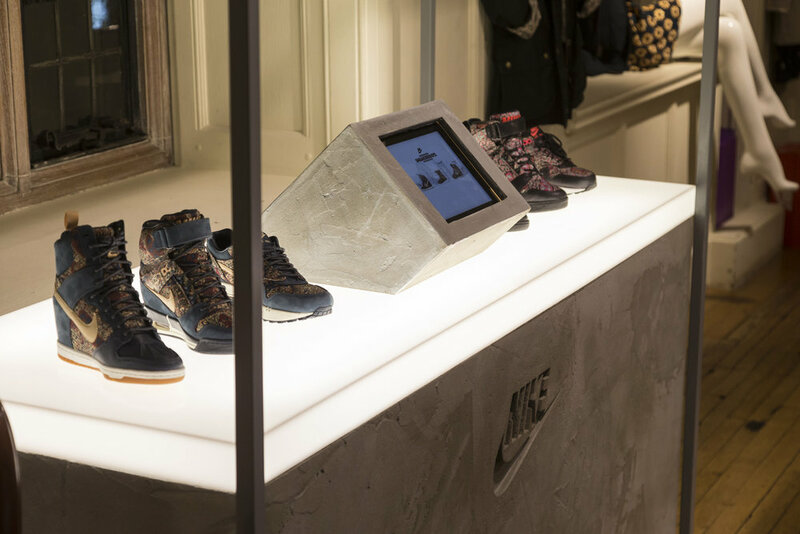 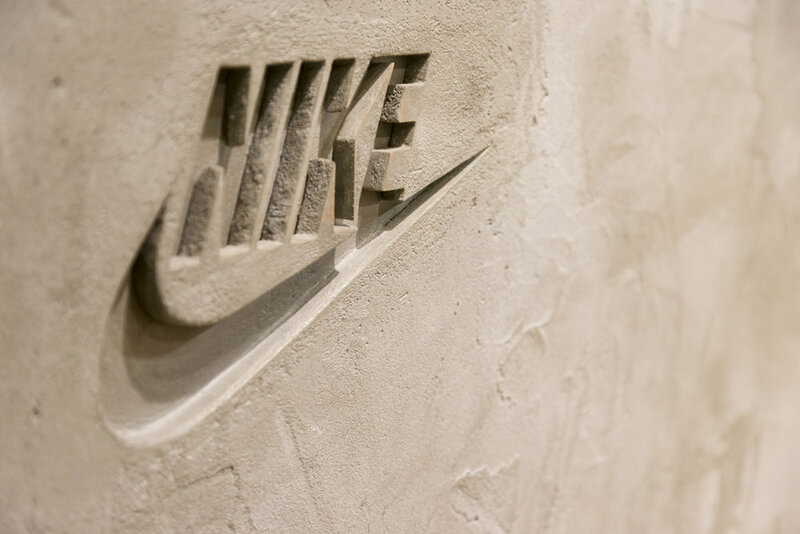 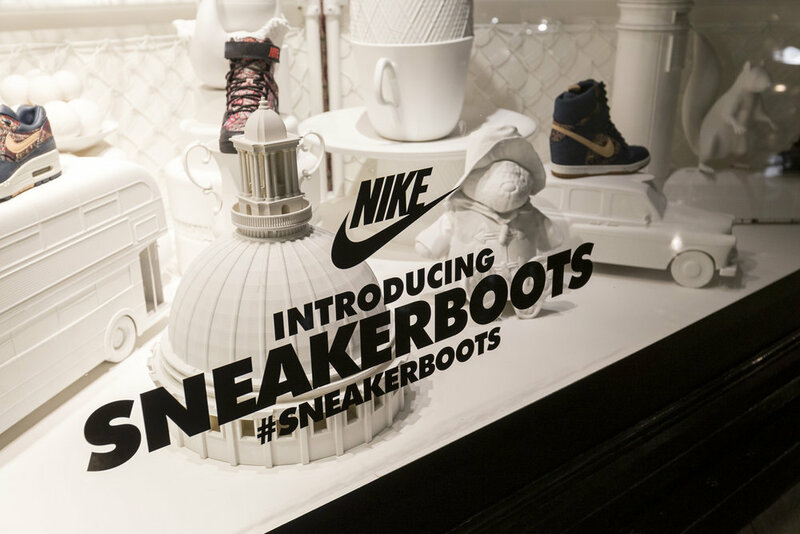 We were approached to build and install this shoe display in Liberty London, to launch their new collaboration with Nike. 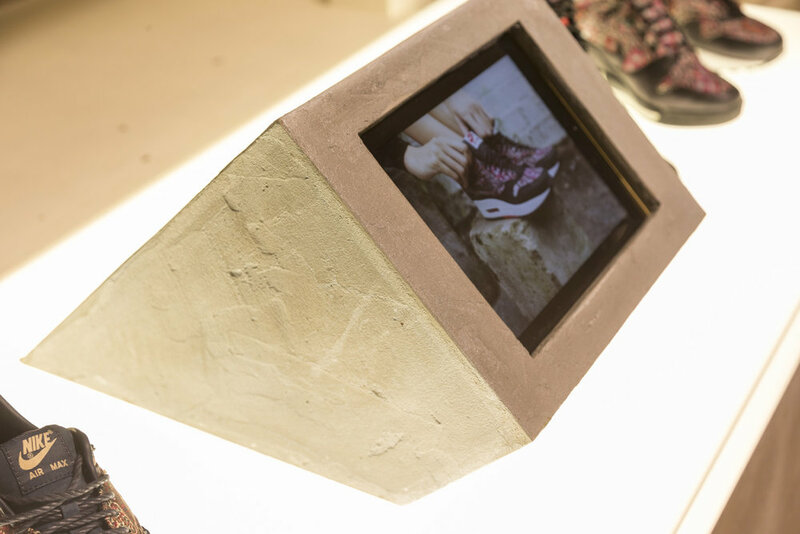 We produced a concrete effect display unit with embossed logo, metal frame, light box topper and secure Ipad case. 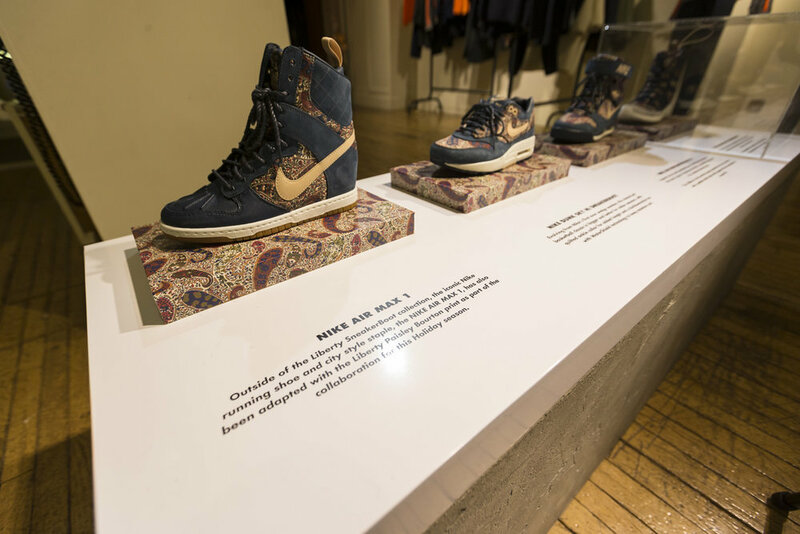 This was matched with gym style benches, complete with famous Liberty prints.